Helbing Collection A-Z is a new feature of our blog. 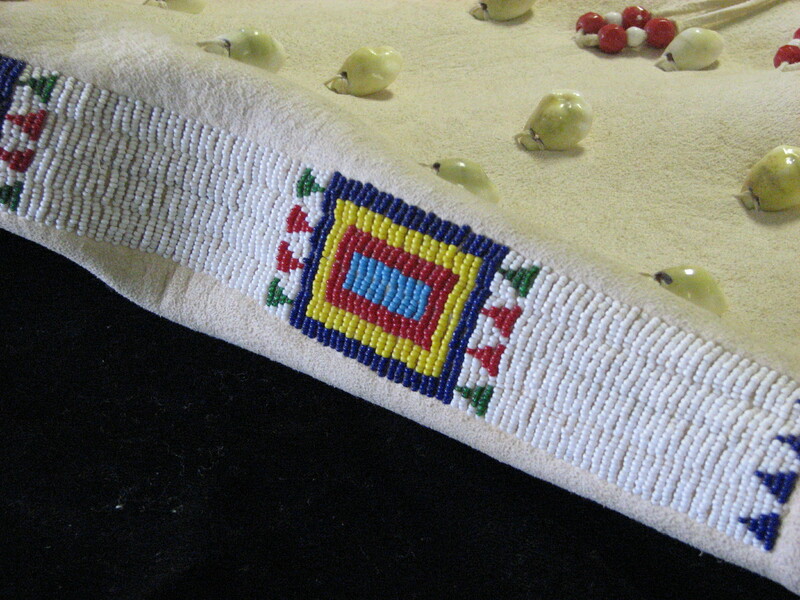 Each week for 26 weeks, I will highlight an item or items from our Helbing Collection of Native American Arts and Crafts. When I took the dress off the mannequin for research, I could clearly see the shape of the deer in the buckskin at the top of the dress. 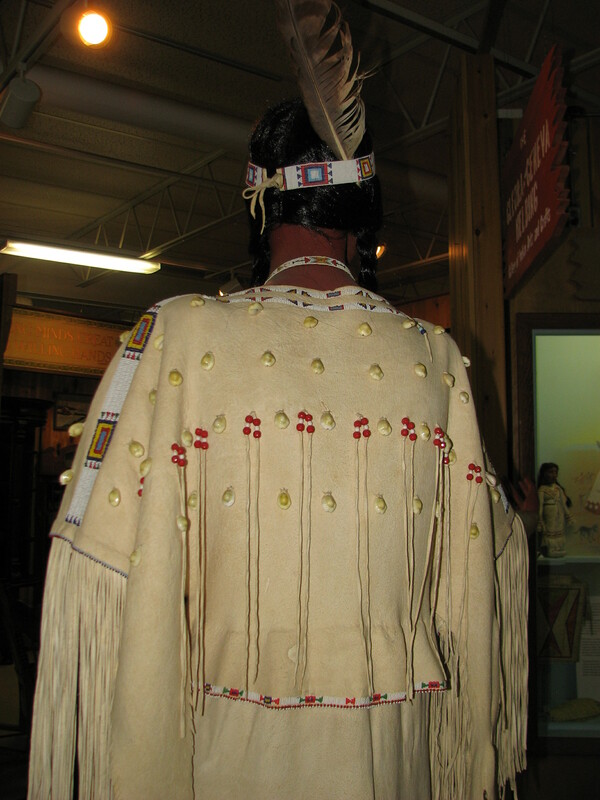 The front and back of the skirt are each made from a single buckskin. I have trouble believing that the fringe took 3 full buckskins, but there is quite a bit of fringe. 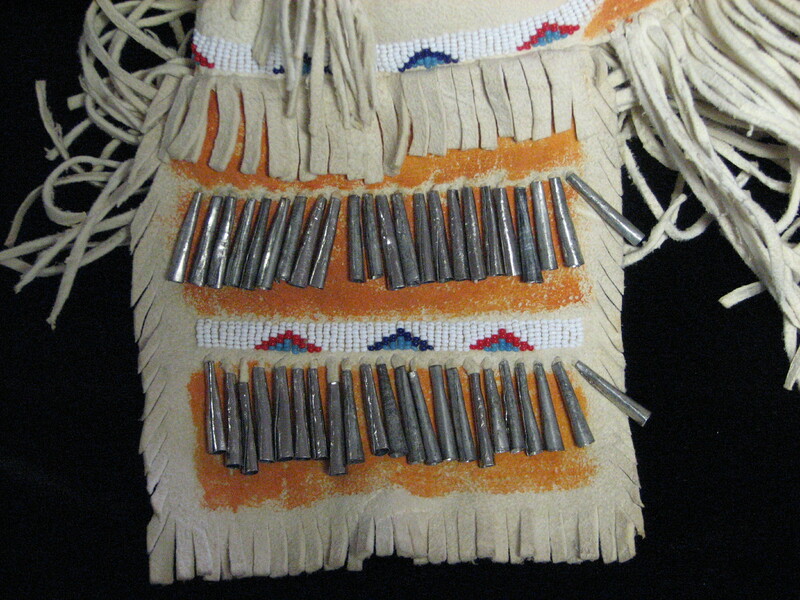 The beadwork and metal cones are really fine. I have included some detail photos below. The outfit is complete with matching headband, moccasins and necklace. 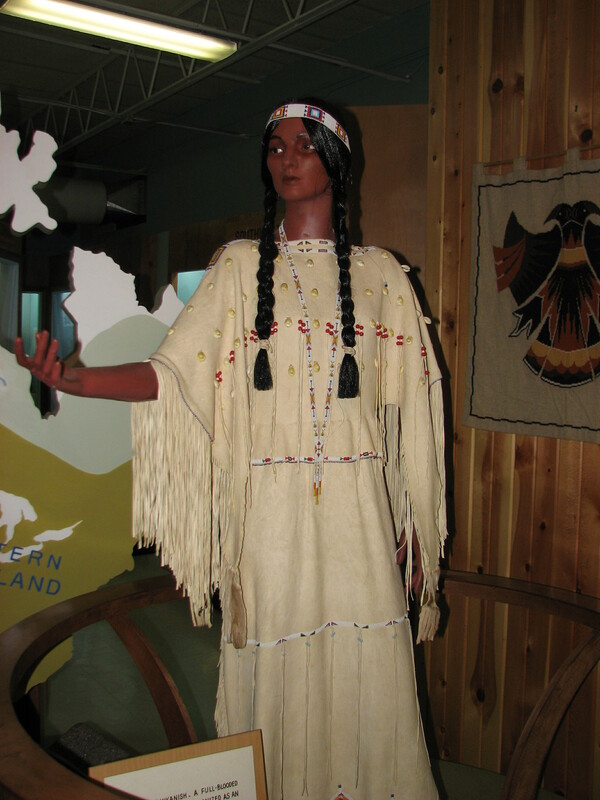 The mannequin stands in the center of the gallery, welcoming visitors. Cleora Helbing wore the dress at special events. 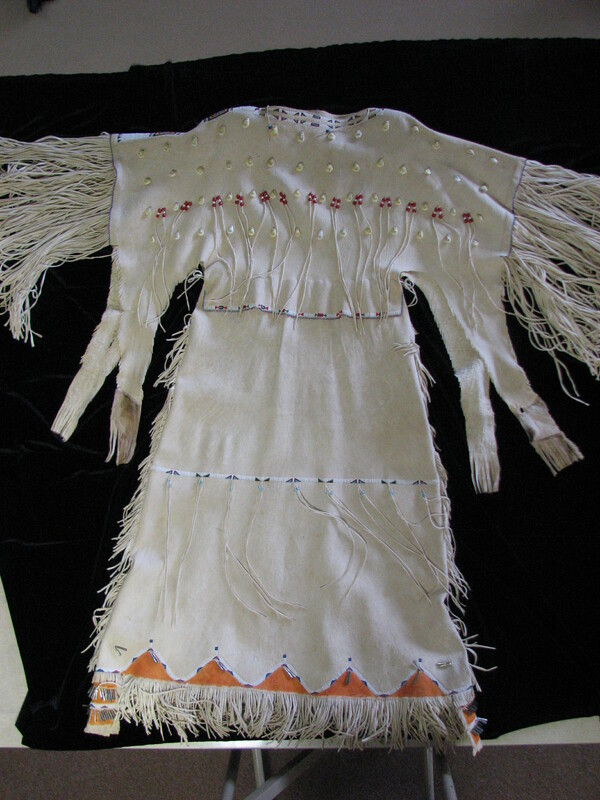 This entry was posted in Collection Notes and tagged A-Z, bead work, beadwork, Buckskin dress, Cheyenne, Cleora Helbing, Inkanish, museum collection, Native American art. Bookmark the permalink.